EDF Energy has announced another two preferred bidder contracts for major work packages at the proposed new Hinkley Point C reactor. Rolls-Royce is set to supply heat exchangers to be used at Hinkley Point C in a contract worth over £25 million. The Nuclear AMRC has worked with Rolls-Royce to significantly reduce the time and cost of manufacturing complex heat exchanger sub-assemblies as part of the Civil Nuclear Sharing in Growth programme, with support from the Regional Growth Fund. And a partnership between Rolls-Royce and Nuvia has been selected as the preferred bidder for a contract worth over £75 million to design, procure, install and commission two systems for the treatment and waste processing of reactor coolant at Hinkley Point C.
The Nuclear AMRC is part of the High Value Manufacturing Catapult, the national network of R&D centres supported by Innovate UK, for which Rolls-Royce is a key industrial partner. 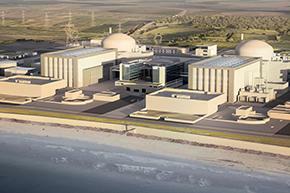 In July, EDF announced preferred bidders for Hinkley Point C contracts worth over £1.5 billion. EDF now estimates that more than 60 per cent of the construction cost for Hinkley Point C will be placed with UK firms. Any contract signings are subject to a final investment decision. Vincent de Rivaz, EDF Energy chief executive, said: “Hinkley Point C offers the UK a tremendous opportunity to boost employment and skills in the crucial manufacturing and construction sectors, as well as leading the revitalisation of the new nuclear programme. The announcement came days after the UK government confirmed a £2 billion financing guarantee for Hinkley Point C, which de Rivaz called a clear sign of the government’s commitment to Hinkley Point C.
Tuesday 20 October, AMRC Knowledge Transfer Centre. Now fully booked. The Special Metals Forum and Nuclear AMRC present an exclusive one-day event for the special metals sector and associated engineering industries in the UK. Nuclear Now will help companies to understand the nuclear energy sector and its opportunities for the special steels industries. Overview of the UK nuclear industry – Peter Haslam, Nuclear Industry Association. 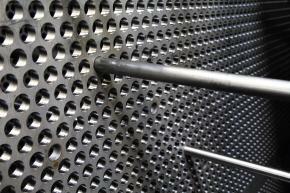 Steel products required for nuclear power stations – Martin Ride, Nuclear AMRC. Approvals and accreditations – Peter Faccenda, National Skills Academy Nuclear Manufacturing. Commercial opportunities at Sellafield – David Magrath, Sellafield Ltd. Fit For Nuclear case study – Philip Vaughan, Darchem Engineering. Small modular reactors and their supply chain – Professor Juan Matthews, Dalton Nuclear Institute. Export opportunities in the nuclear power industry – Andrew Stevens, UKTI. 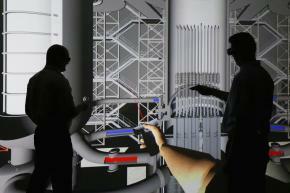 Tour of the Nuclear AMRC. Download the flyer for more details, including the agenda for the day. The Special Metals Forum is the regional group of trade associations and companies operating in the steel and associated manufacturing industries, based in and around the Yorkshire & Humber region. The Forum includes UK Steel and the British Stainless Steel Association, and links to the regional EEF Growth Forum. The group also includes UK Trade & Investment, which promotes the export of goods and services from the UK.